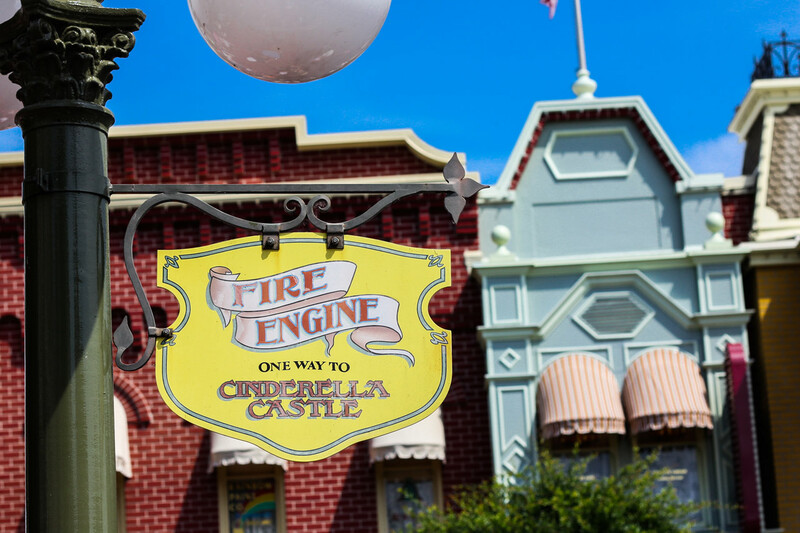 Take a trip between Town Square and Cinderella Castle at Magic Kingdom. 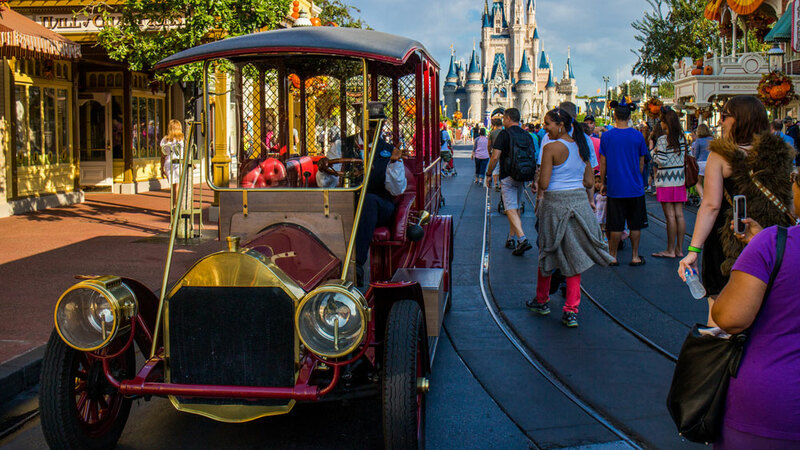 These vehicles, which vary by the day, provides one-way transportation between Town Square and Cinderella’s Castle. 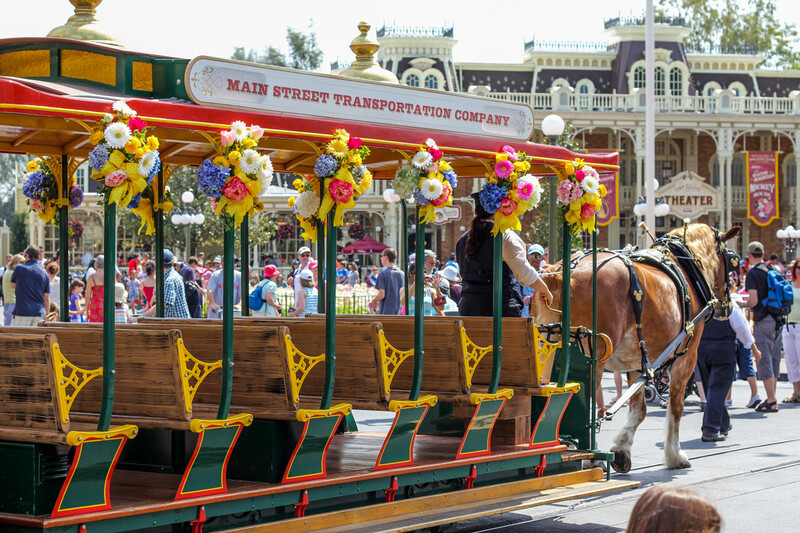 A ride on Main Street Vehicles is a great way to take in the sights and sounds of Main Street, USA. It’s a leisurely change of pace from the hustle and bustle of running from E-ticket ride to E-ticket ride. 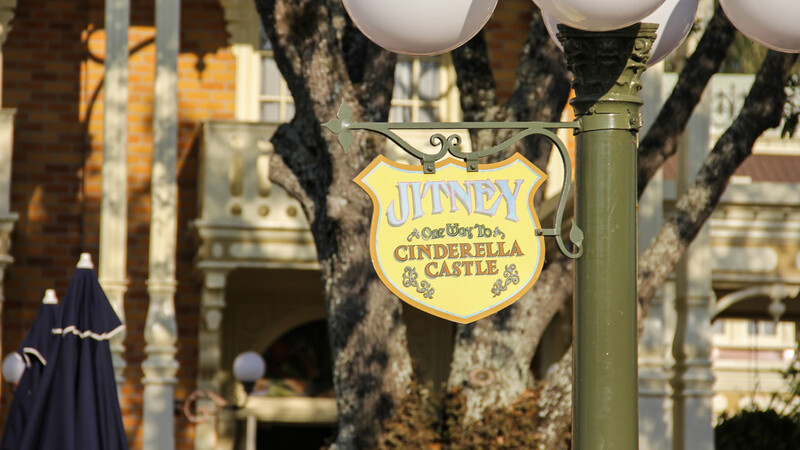 The vehicles are themed around transportation that was available around the turn of the 20th Century. Tired? Give your legs a rest and catch a ride one one of these fun vehicles. 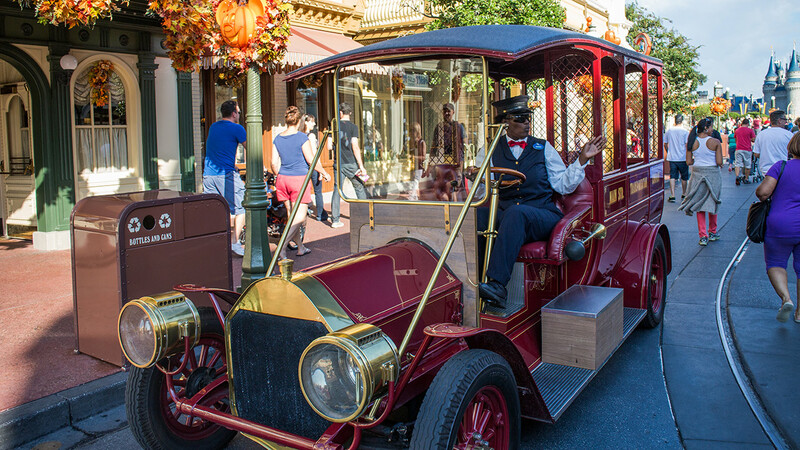 A car drives down Main Street.